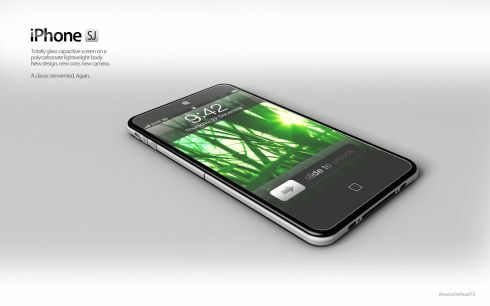 Antonio De Rosa, the man behind ADR Studio shows us his newest iPhone concept, the iPhone SJ, a tribute to Steve Jobs. 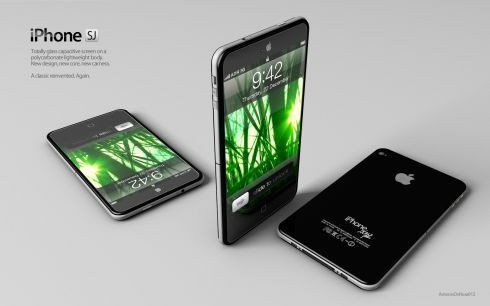 This beautiful device is a futuristic vision of the way an iPhone of the future could look like. The iPhone SJ packs a capacitive touchscreen made completely of glass and a polycarbonate body for a shell. The result is a very light phone, that features an Apple A6 dual core processor and a 10 megapixel camera, speculated specs of this concept device. Using polycarbonate for the chassis worked fine for Nokia with the N9, so why not adopt this idea for the newest iPhone as well? As you can see here we’re dealing with an edge to edge screen that looks larger than 3.5 inches, so we may be dealing with that 4+ inch Retina Display we’ve all been craving for. 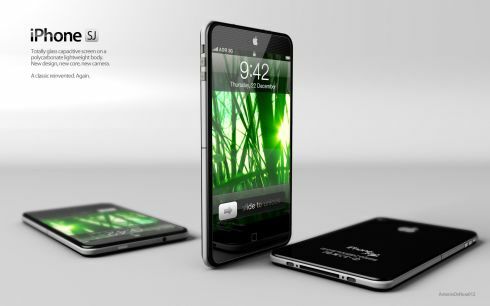 An elongated home button is also present, a sign that gestures are coming, possibly in iOS 6.0. 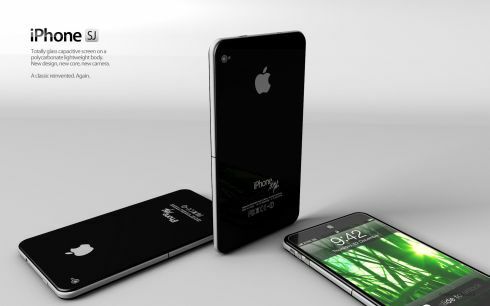 The design of the iPhone SJ is very thin, maybe thinner than the iPhone 4S, so it may even reach 7mm through the technologic advances. For me, this design combines the look of the older iPhone 3G/3GS units with the iPhone 4/4S design direction, with the result being a modern handset with a very beautiful facade and an interesting way to integrate volume buttons.